Do you know what can and can’t go in the recycling bin? We'll review the benefits of school gardening along with some resources. 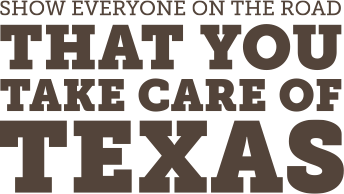 Many Texas students worked hard to create these videos. Pick your favorites! While winter might not seem like a natural time for gardening, there are plenty of things you can do. How about including a resolution to reduce plastic use? Read more about What Are Your New Year's Resolutions? Learn about the differences between these popular lighting options. Due to rising fuel prices, most households in the United States can expect higher heating costs this winter. Teachers and informal educators, sign up to get emails tailored just for you!